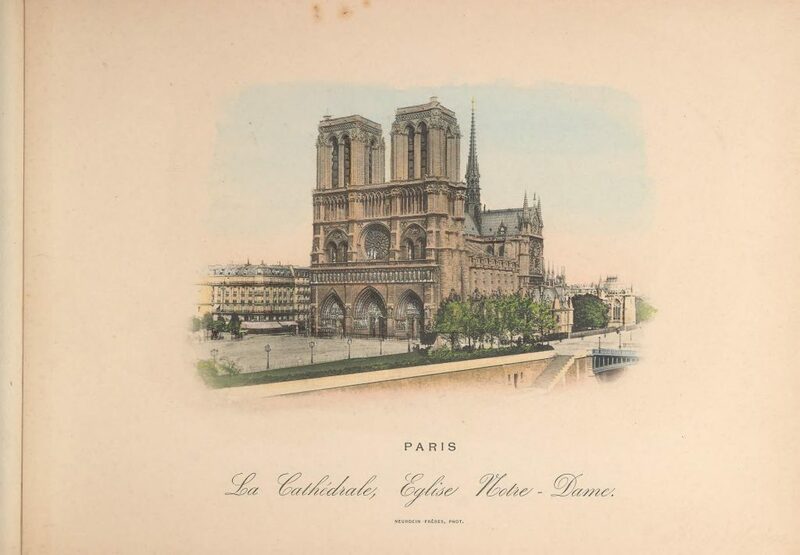 Vues de Paris: photogravures de Neurdein Frères offers an exquisite look at Parisian architecture and city streetscapes at the turn of the 20th century. It includes iconic monuments like the Eiffel Tower and Le Arc de’ Triomphe in postcard views. The book in constructed to make it easy to detach pages and frame – and in fact one plate is missing from our copy. 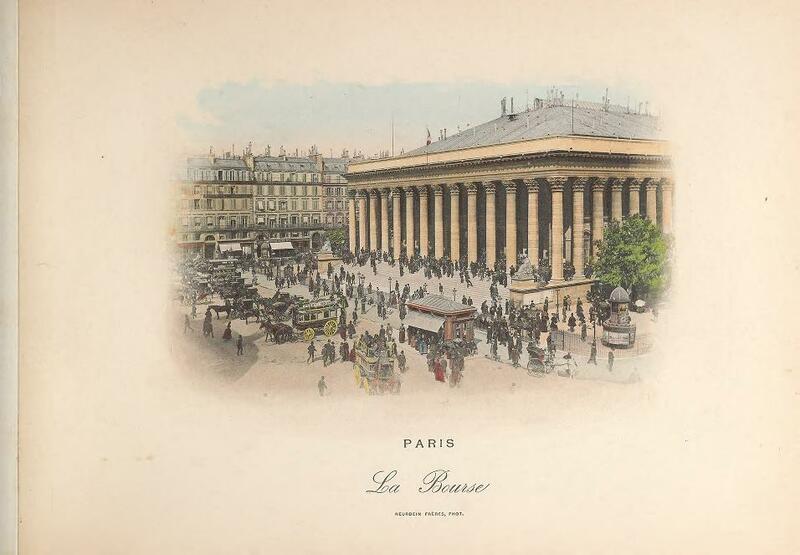 The delicately colored photogravures lend charm to even the most bustling street scenes, like this one outside of La Bourse, the historical stock exchange. Although it’s easy enough to appreciate this volume based on the lovely illustrations, the book’s history is also quite interesting. It came to the Smithsonian Libraries’ American Art/Portrait Gallery Library by way of Ferdinand Perret. Perret was an artist and painting restorer who immigrated to the United States from France in 1906. He founded the Perret Research Library and collected works related to art history, particularly the art and artists of his new home in California. What struck me when I first flipped through the digital copy of the book was the little sprig of something on the front cover. What is that? A keepsake from a momentous trip? Is it lavender? Or rosemary? 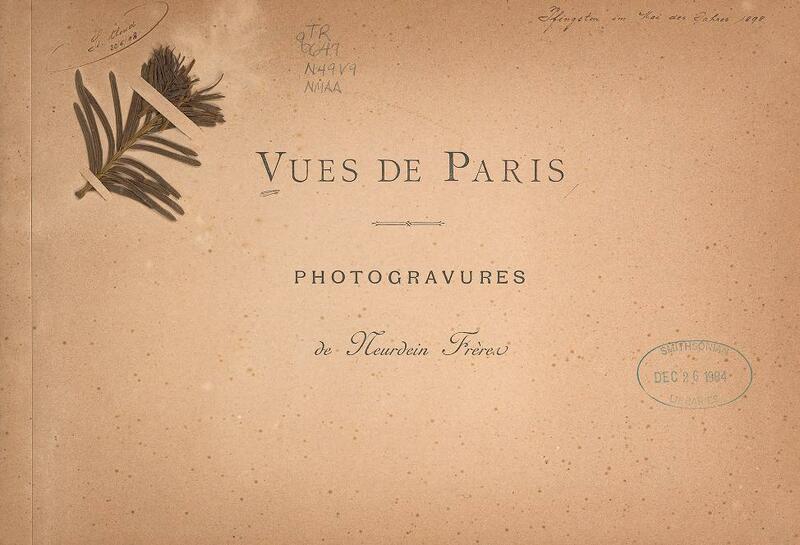 Title page from Vues de Paris: photogravures de Neurdein Frères, with mystery sprig. Unfortunately, after 120 year stuck in a book, the specimen has lost its scent which would have been a strong clue. After consulting with Smithsonian botanists and horticulturists, we’re still not entirely sure exactly what it is. Based on the scanned image the consensus is that it’s likely lavender, which makes sense for a French keepsake. Take a look and guess for yourself! Perhaps the dried plant is Rosemary, which is a symbol of remembrance? https://en.wikipedia.org/wiki/Rosemary#Folklore_and_customs It’s a lovely keepsake book. 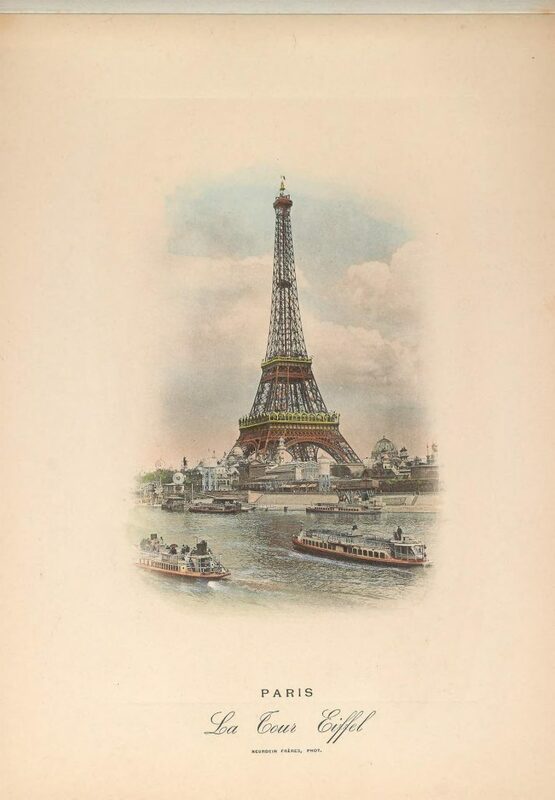 Wish I could go back in time to see Paris circa 1898!